In a paper on the current political tensions in the country, two of the church's senior officials also urged opposition leader Nelson Chamisa to "abandon traditional politics" - which has seen opposition parties in the region sometimes threatening to send senior government officials to the International Criminal Court (ICC) in The Hague. The church's Braam Hanekom and Llewellyn MacMaster of South Africa were recently in Zimbabwe on a fact-finding mission, where they met various interest groups, including lawyers, civil society leaders, academics, politicians and local clergymen. "Assurance that the International Criminal Court (ICC) will not strike out at senior government officials is important ... Otherwise a ‘fight to the end' scenario is definitely on the table. Traditional opposition politics will not function now. "Pressure alone, however, won't work, because you are dealing with a military situation that actually only knows one form of action. 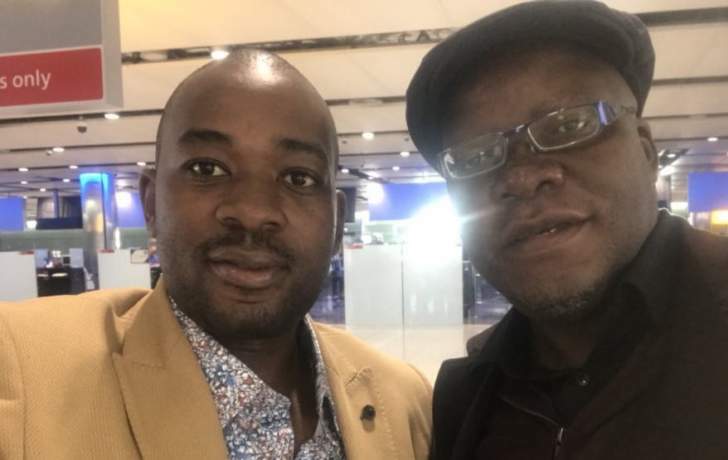 "What is urgently required is influence by people who do not necessarily want to overthrow a government, but are level-headed and looking to create a win-win situation," the duo warned. Their warning follows threats by South Africa's largest opposition party, the Democratic Alliance (DA), which has said that it wants the ICC to probe Mnangagwa and securocrats over the recent savage crackdown on civilians by the country's security forces. "The ICC's Office of the Prosecutor is empowered by the Rome Statute to … determine whether there is sufficient evidence of crimes of sufficient gravity falling within the ICC's jurisdiction, whether there are genuine national proceedings, and whether opening an investigation would serve the interests of justice and of the victims. "The DA strongly believes that the human rights crisis currently obtaining in Zimbabwe is of sufficient gravity to warrant an ICC investigation. President (Cyril) Ramaphosa and his government seem intent on sitting on their hands over the Zimbabwe crisis in much the same manner as Thabo Mbeki's failed diplomacy. "In 2008, people were attacked and murdered with impunity in another State-sanctioned military clampdown targeting innocent civilians after a disputed election," the DA's shadow minister for International Relations, Stevens Mokgalapa, warned Ramaphosa in a recent letter. Last month, police and soldiers were engaged in running battles with protesters who flooded the streets of Harare, Bulawayo and other towns - to demonstrate against the steep fuel price hikes which were announced by Mnangagwa ahead of his tour of Eastern Europe. At the same time, security forces unleashed a brutal crackdown against the protesters, the opposition and civil society leaders - in a move which received wide condemnation in the country and around the world. Rights groups continue reporting human rights abuses by security forces - including galling allegations that soldiers had raped women and girls during their much-condemned crackdown against civilians. After Zimbabwe attracted unwanted global interest in the wake of the trail of terror left by the country's security forces, Mnangagwa has tasked the National Peace and Reconciliation Commission (NPRC) to spearhead national dialogue to resolve the deepening political and economic crises in the country. On Wednesday, they lashed the two leaders for dithering around the much-awaited national dialogue which is seen as the best way of resolving the country's long-running political and economic crises. Then, ousted former president Robert Mugabe and the late Morgan Tsvangirai agreed to bury their deep political differences before signing their historic global political agreement (GPA) - following the hotly-disputed 2008 presidential election which the nonagenarian lost hands down to his then nemesis, before embarking on a murderous campaign against MDC supporters ahead of a sham run-off. "Though not perfect, among Zimbabweans, we have in the past produced recognisable peace, unity, justice and prosperity dividends. The Lancaster House negotiations that gave us independence, the talks during the Gukurahundi gave us the Unity Accord in 1987, the dialogue led by churches gave us the national vision document, the ‘Zimbabwe We Want' in 2006. "The dialogue after the elections gave us the government of national unity in 2009 and the broad national unity among Zimbabweans culminated in the birth of a home-grown Constitution of 2013," Mutandwa said. Renowned bishop and founder of Zaoga Ministries, Ezekiel Guti, also implored Mnangagwa and Chamisa to "let go certain interests" to find common ground for talks, which he said were important in rebuilding the country. "I pray that by grace … God enters your hearts so that we forgive each other and move together," he said. "People must come together, humble themselves and repent from that culture that they must have imported from other places," Zion Christian Church (ZCC) leader Nehemiah Mutendi - a key ally of Mnangagwa - chipped in, while also giving as an example how the late Father Zimbabwe, Joshua Nkomo, and Mugabe had subordinated their anger to talk to each other. "We also have people like Tsvangirai ... he did not call it humiliation to meet his opposition for the sake of peace," he added, referring to the GPA and the subsequent consummation of the GNU.